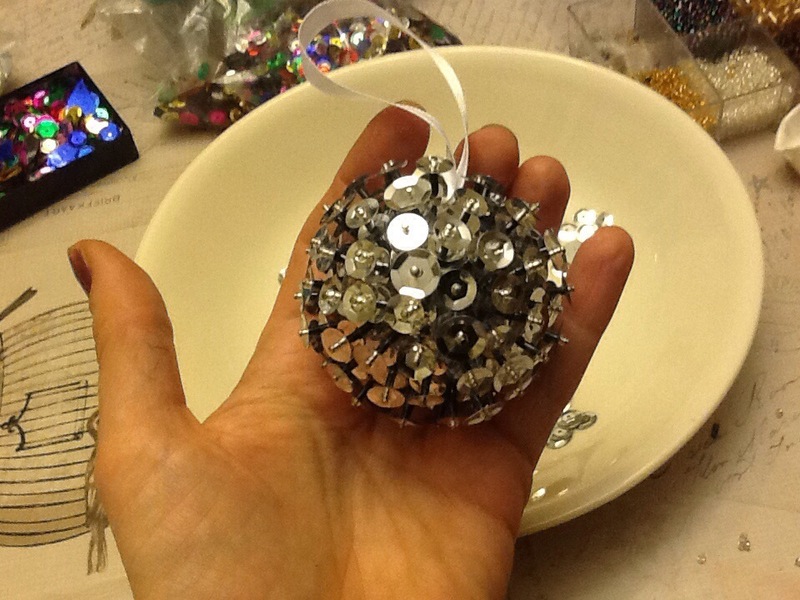 Sequinned Ornaments!!! 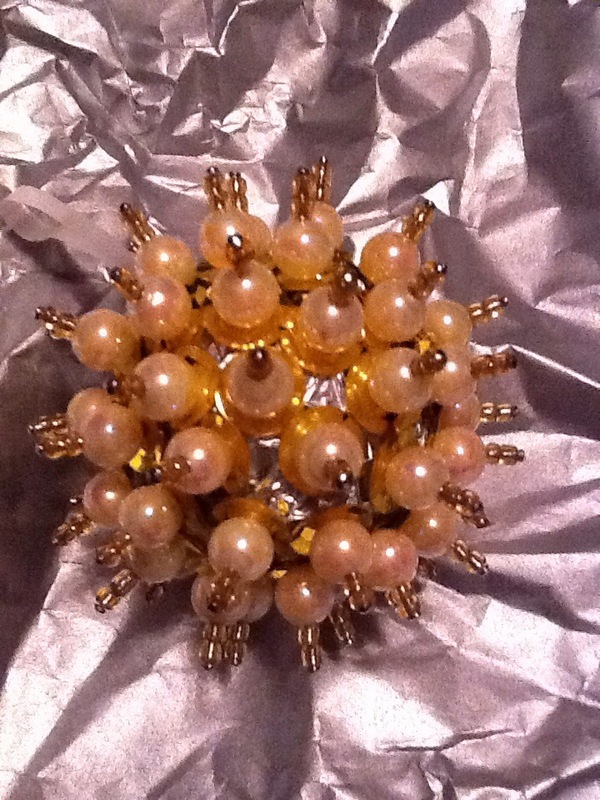 | ARTZCOOL'S BLOG! 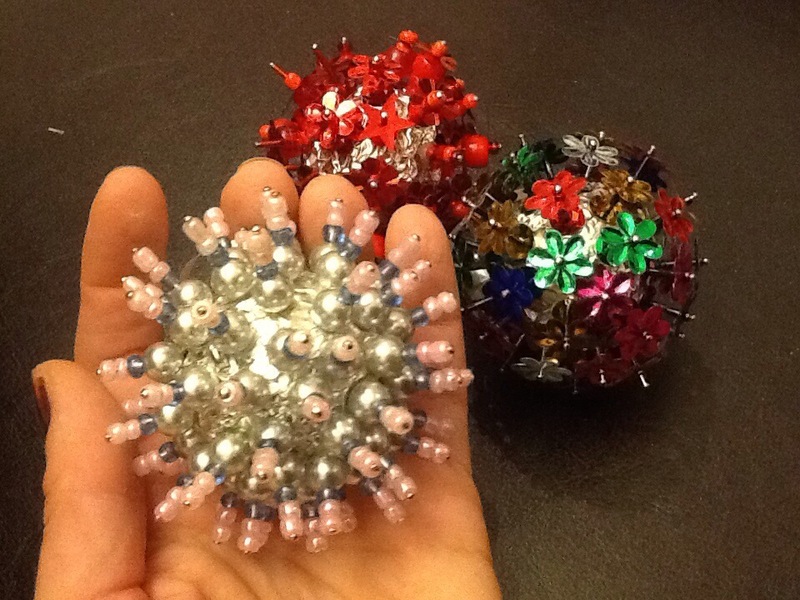 I have been making these ornaments for years. 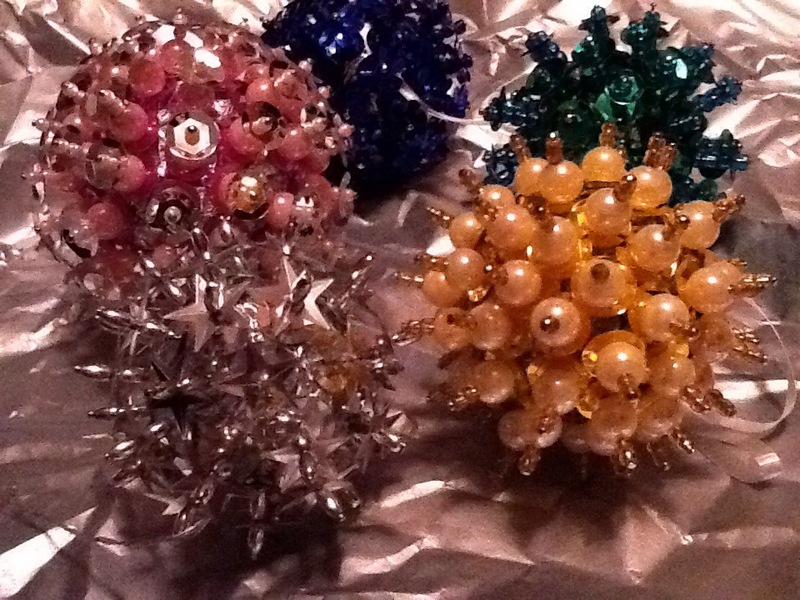 I have made them with Dylan and Sam, and they are amazing to do with a class too. 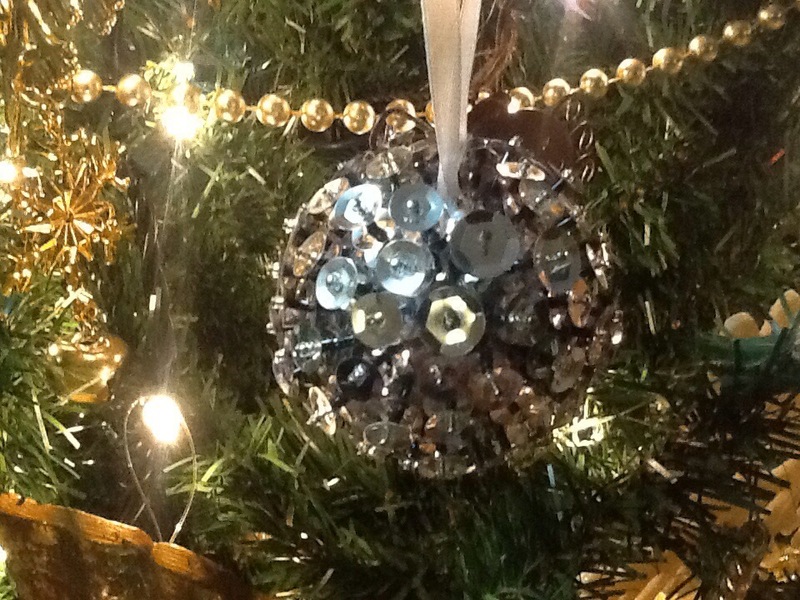 The materials are cheap, the results look amazing, and it keeps the kids quiet for hours….win-win for everyone! 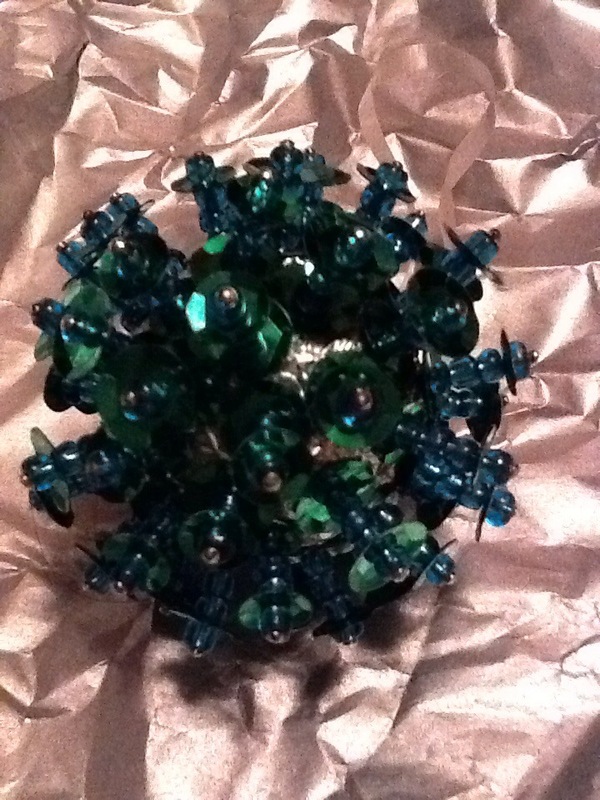 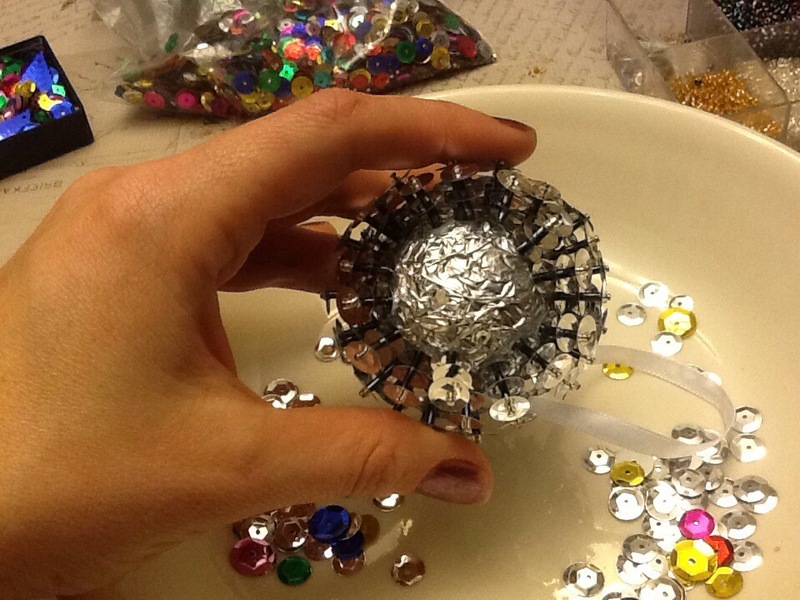 All you need is a styrofoam ball, a scrap of tinfoil, some pins, beads and sequins. 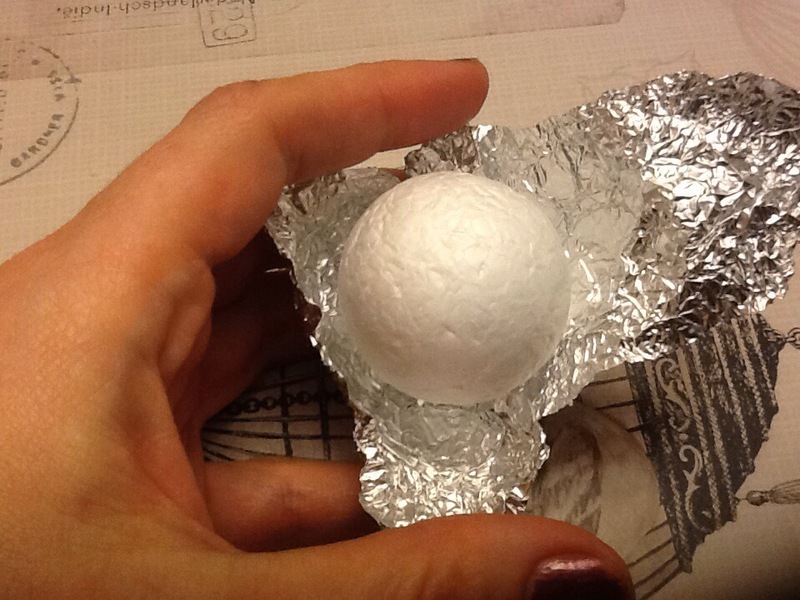 Start by wrapping the styrofoam ball in tin foil. 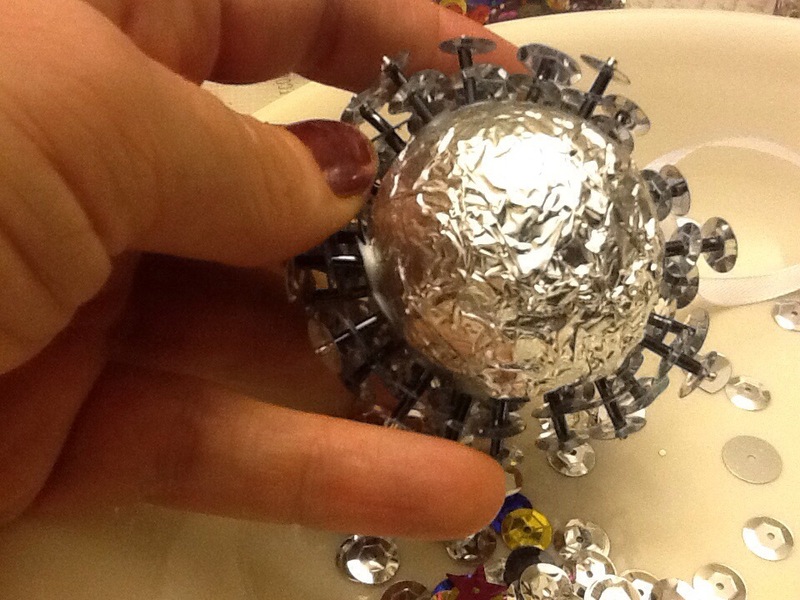 I have even used the wrappers from the Ferrero Rocher Chocolates (did I spell that right?) 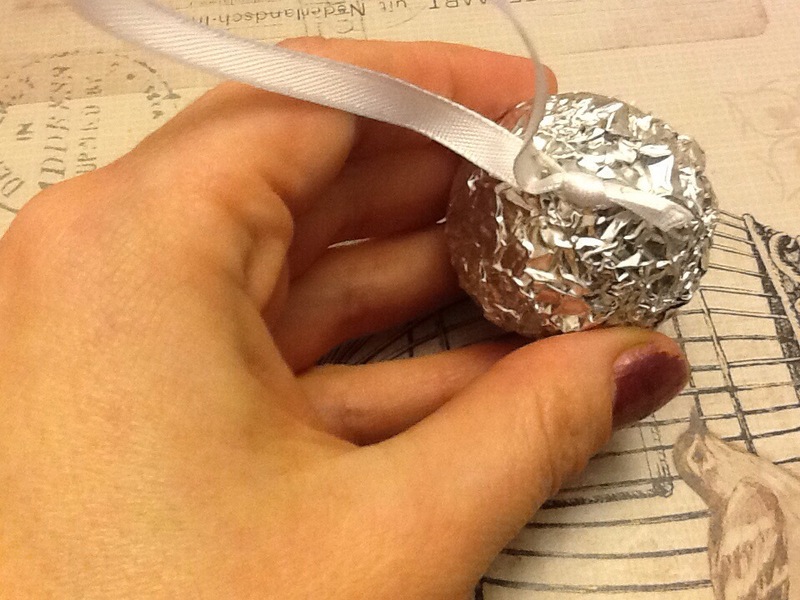 Anyways, people I know are used to my hoarding tendencies, so when I walk around at Christmas asking for their chocolate wrappers, people are usually pretty good about it. 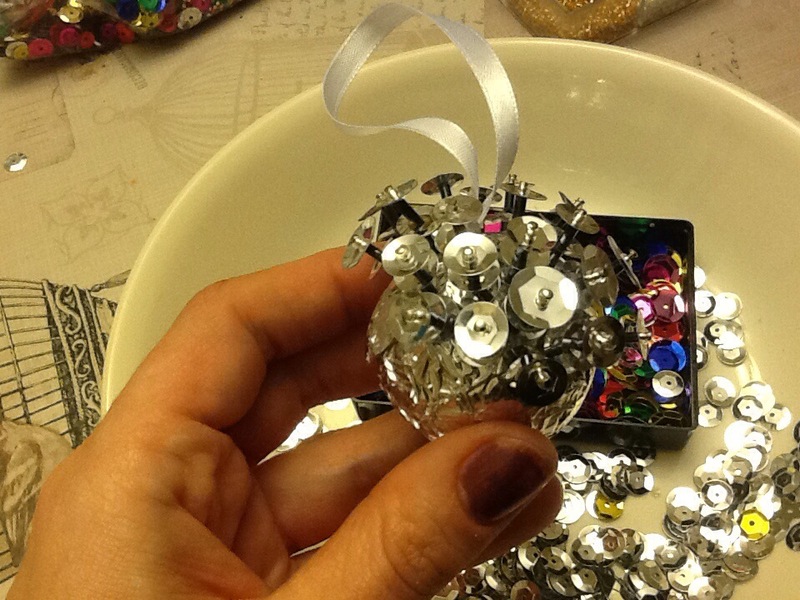 Either that, or it’s a good excuse for pigging out on chocolates…once again, win-win for everyone! 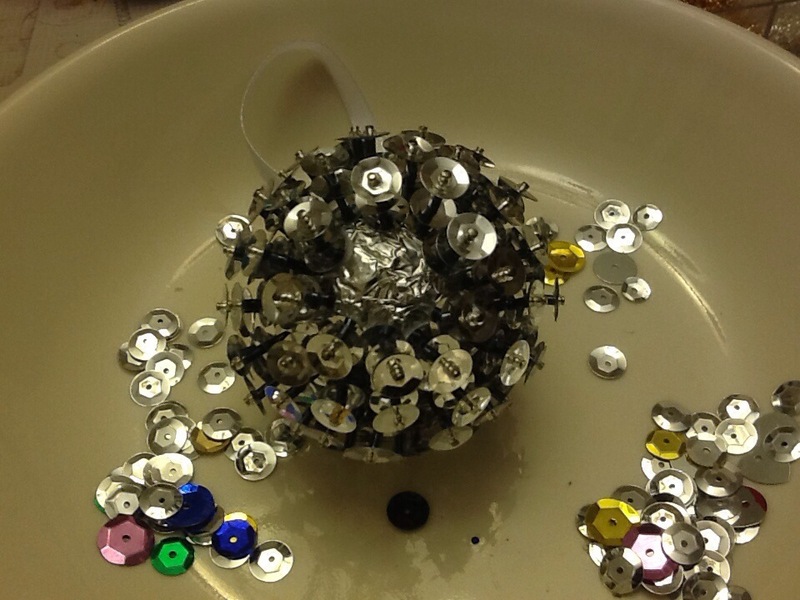 Then, after you have wrapped the styrofoam ball, add a bit of glue and stick in a pin to hold on a loop of ribbon or string to hang it from. 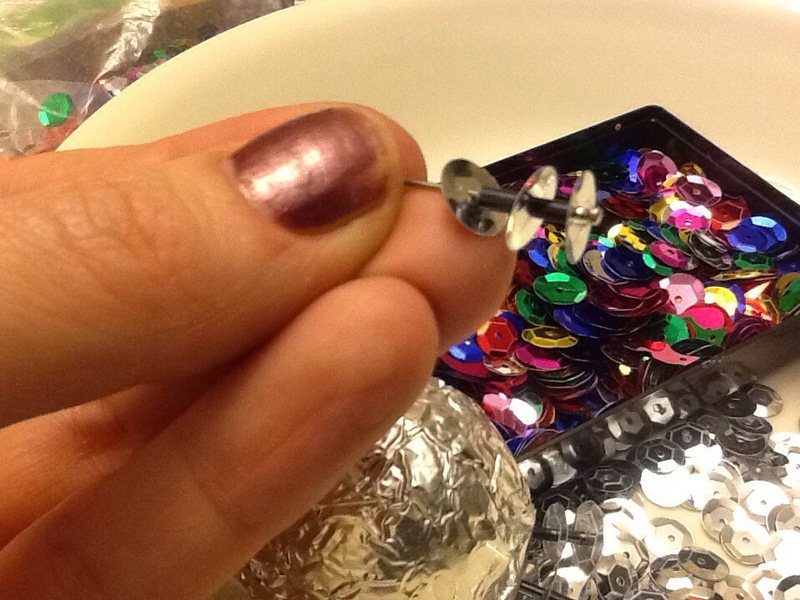 Then, start adding a pattern of beads and sequins onto the pin, be sure to leave about a half to a third of the pin open, because if you don’t leave enough space on the pin, it gets really hard to handle and won’t stick properly. 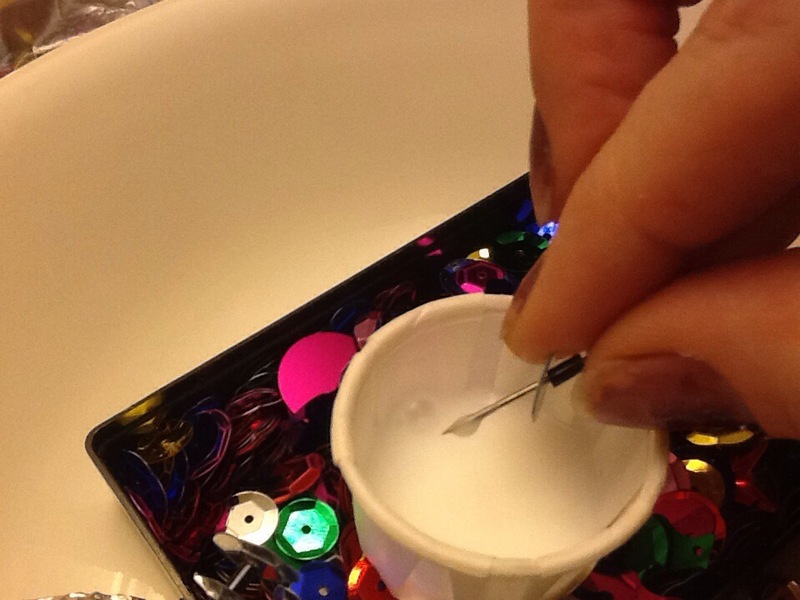 Then, dip the point of the pin in white glue. 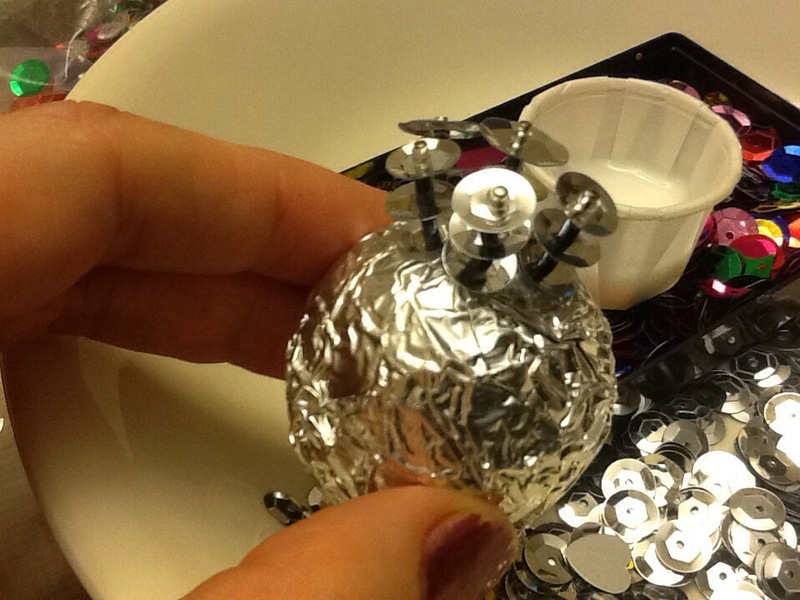 I find it is easiest if you pour the white glue into a little container.